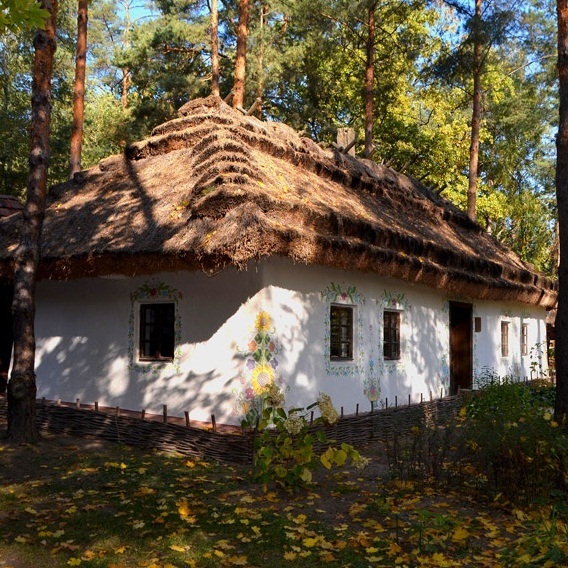 Discover history and culture of Ukraine in the compact ethnographic open-air Ukrainian Village Museum not far from Kyiv. Unique exhibits, interesting master classes, delicious national cuisine and exclusive souvenirs are waiting for you. The Ukrainian Village skansen is located in a picturesque coniferous forest half an hour’s drive from Kyiv. It is a modern museum, representing historical Ukrainian village culture and life on a compact territory. Unlike the Pirogovo Museum, you won’t have to walk a lot; you can also enter all houses and buildings, and touch the exhibits. Moreover, you will see the work of potters, blacksmiths and even feel yourself a Ukrainian craftsman by participating in one of the master classes. Besides, there is a mini zoo with domestic and wild animals, an outdoor recreation area and a national cuisine restaurant in the museum. There are rural houses from the main historical regions of Ukraine in the museum: Gutsulshchina (the Carpathians), Southern Ukraine, Podolye (southwestern part), Polesye (northern), Slobozhanshchina (eastern), and Middle Naddnepryanshchina (center). Various interiors and a huge collection of authentic items from each region are gathered in the museum. During the tour, you will learn a lot about the life of Ukrainian villages. Moreover, there is a pottery workshop, a smithy, a bakery and even a brewery in the Ukrainian Village Museum. After an interesting excursion and entertainment, you can dine at the restaurant-kolyba serving delicious dishes of national cuisine: borsch with pampushkas, chumak kulesh cooked at the stake, banosh with bryndza cheese, deruny, vareniki. * Vareniki are dumplings with sweet or savory filling. 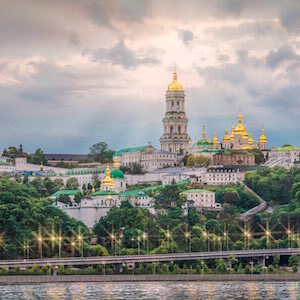 ** Chumak is a historic occupation on the territory of the modern Ukraine, merchants or traders, primarily known for the salt trade. *** Kulish is a simple traditional Ukrainian millet porridge/soup with meat, salo (pork underskin fat), meat broth, potatoes, carrots and onions.